Introducing Hopper’s Epic: Horror Shroud! Everyone’s favorite Monster rabbit just got a lot more monstrous! She found a carrot growing near the Root of All Evil and ate it, and now she’s… Well, she seems excited, but a lot of other heroes seem less excited. We can’t imagine why. She’s also hopping around growling and glowing purple at times. Are there any veterinarians who can tell us if this is normal rabbit behavior? Anyways, the Horror Shroud increases Hopper’s defense, attack, and max health. In addition, when Hopper does an Epic Attack, she gains Shrouded, does 3 bite attacks on her target, and if she KO’s the target, inflicts Fear on all remaining enemies. So we’re back to all epics using fire etched bars and such, huh? What’d we have, like 2 of them that used the correct materials? Was a good run while it lasted. I just imagine the guy coding these epics gets a kick out of it and knows that no one will review his work. 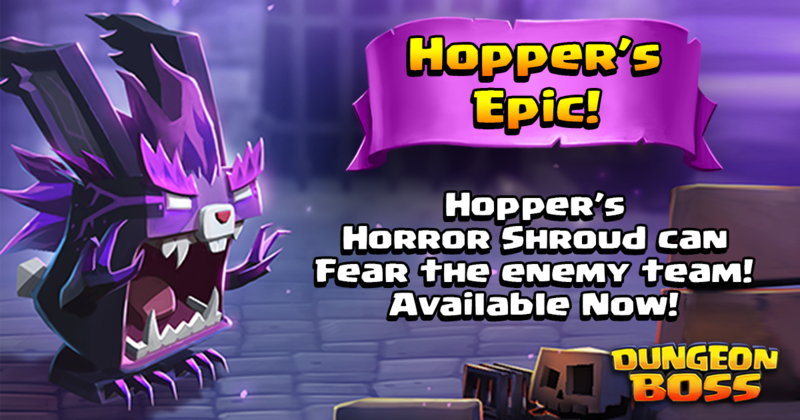 Can I just say that this epic makes hopper look absolutely fabulous? the epic makes Hopper look like she got stuck in a hurricane too long. Maybe a comb and some gel? Better late than never. 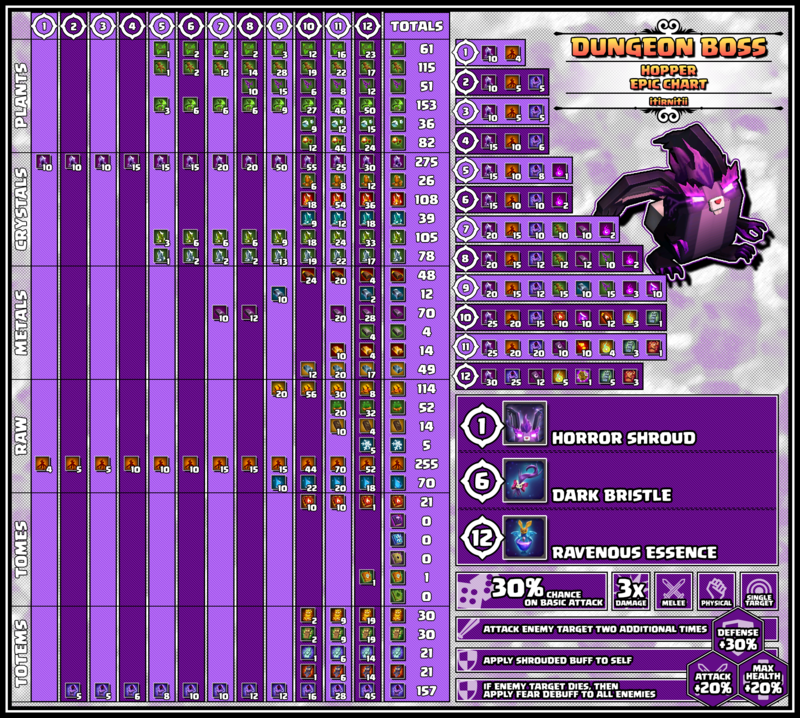 Same epic upgrade path as every dark hero, except Dagrund. I don’t think that should be the case. Hopper was powerful enough without her Epic, plus, Shade’s Epic doesn’t remove debuffs before applying Shroud.